Kids of all ages will like the bug facts printed on the cardboard underneath each chocolate... Ladybugs may fly 100 miles for food, and hibernate under leaves during the winter. 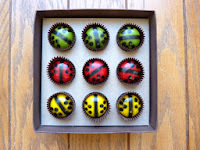 Ladybugs also come in different colors. 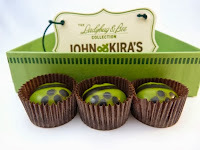 Each of today's green ladybug shells (made with 62% Valrhona dark chocolate) were filled with a creamy, natural mint infused flavorful ganache, with tiny sparkle notes of coffee (in the chocolate) and cucumber (in the mint filling). 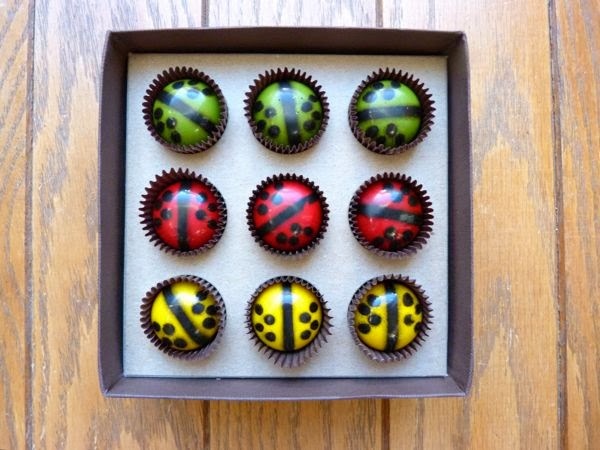 All very pleasing. 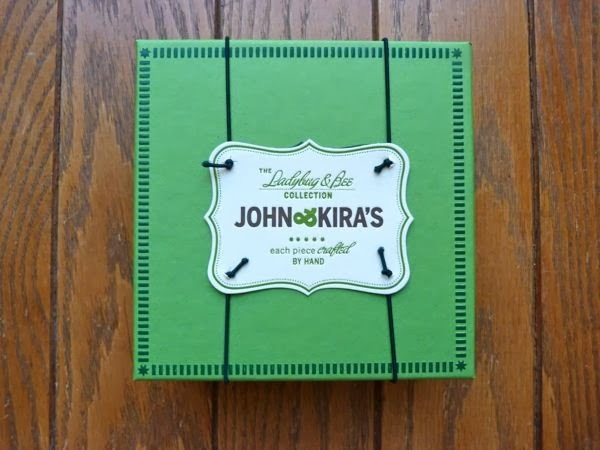 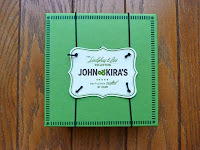 As part of their mission statement, the folks at John and Kira's source ingredients* from small family growers/farmers/producers and urban gardens. 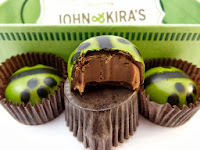 *Note: to those avoiding gluten and artificial ingredients, these ladybugs do contain some glucose syrup, and some artificial FDA #'d colors.